Italy In Chaos: Country To Vote Again After President Blocks Government; "Unclear What Happens Next"
In what may have been the worst possible outcome of this weekend's events in Italy, Rome finds itself on the verge of a Europe-sponsored constitutional crisis. Recall that when we previewing the possible outcomes of Italy's government stalemate, in which president Mattarella had threatened to veto the choice of Paolo Savona as economy minister due to his anti-Euro/establishment sentiment, we said that the most likely - and market friendly - outcome, was for President Mattarella to give in to public pressure and the threat of a new election, averting a potential constitutional crisis. We also said that the second most likely outcome, and potentially far worse for markets, was that "if Mattarella and the coalition partners hold firm, we may be set for new elections, with M5S likely to repeat April’s success and Lega likely to increase its share of the votes, eating up Berlusconi’s party." 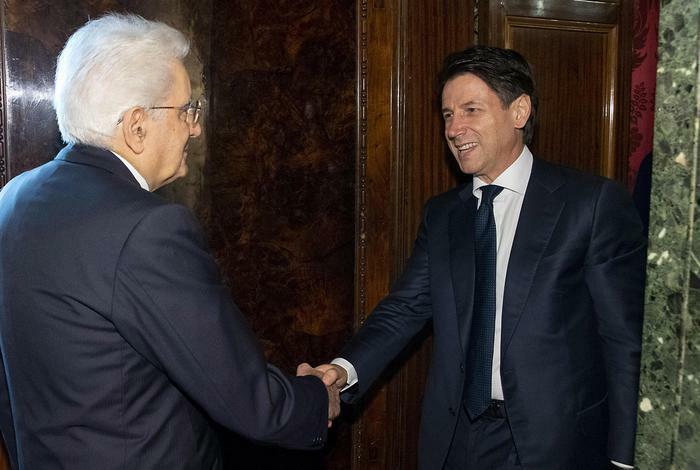 Moments ago that's precisely what happened, when Italy's premier designate, Giuseppe Conte, 53, told reporters after meeting the head of state Sunday evening that he had handed back his mandate for forming “the government of change" to president Mattarella. "I can assure you that I did my utmost to try to fulfill this task" he added. As a result, and as League leader Salvini said, Italy is now set to vote again. As we reported earlier, Mattarella, who is supposed to be impartial but appears to have been anything but in this case, and was tasked with naming the premier and ministers, earlier rejected the candidacy of economist Paolo Savona, 81, who has repeatedly urged the Italian government to plan for a euro-exit, and who has criticized what he says is German dominance over Europe. In other words, Mattarella sided with Europe over Italy's own choice. “We worked for weeks, day and night, to ensure the birth of a government which defends the interests of Italian citizens. But someone (under pressure from whom?) said no to us,” Salvini wrote in a Facebook post, indirectly attacking the president's veto of Savona. “At this point, with the honesty, coherence and courage of always, you must now have a say,” Salvini added in a call for early elections. Salvini's scathing attack on the president continued: "If a government has to start conditioned by threats from Europe, that government won’t be backed by the League." The League leader then said he’d seek a full mandate in the event of new elections. Meanwhile, Di Maio refrained from blaming Brussels for what just happened, saying he blames the rating agencies, and that he is "very upset" by Italy’s president decision. ... Which means the president will now wait for his marching orders straight from Brussels before deciding what to do next. Meanwhile, the Italian people can't be delighted that their own president has hijacked the political process to the benefit of Merkel and Jean-Claude Juncker. There is one other possibility: as we laid out earlier, "a very unlikely scenario is that Parliament calls for Mattarella’s impeachment, as per Article 72 of the constitution." While an impeachment seems unlikely at this point, should the process merely begin, watch as the Euro is reacquainted with gravity and Draghi is dragged back to do "whatever it takes" to keep Europe together.